Humminbird HELIX 5 Sonar features ​a brilliant 800H x 480V, 5" 256 color display with backlight. DualBeam PLUS sonar with 4000 Watts PTP power output. Maximize your angling experience with the Humminbird HELIX 5 Sonar fishfinder system. Humminbird HELIX 5 Sonar GPS features ​a brilliant 800H x 480V, 5" 256 color display with backlight. DualBeam PLUS sonar with 4000 Watts PTP power output, Precision Internal GPS Chartplotting with built-in UniMap cartography with a micro SD card slot for optional maps or for saving waypoints. 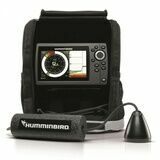 Humminbird HELIX 5 SI GPS features ​a brilliant 800H x 480V, 5" 256 color display with backlight. Side Imaging/Down Imaging and DualBeam PLUS sonar with 4000 Watts PTP power output, Precision Internal GPS Chartplotting with built-in UniMap cartography with a micro SD card slot for optional maps or for saving waypoints. Humminbird HELIX 7 DI GPS Discover fish and structure, then track their every move with the HELIX 7™ DI GPS. See fish and vertical lure presentations by viewing Down Imaging® and SwitchFire® Sonar side-by-side on the wide, 16:9 display. The reliable, internal GPS offers 2500 waypoints and 50 routes, so you can return to your most productive spots time and time again. A single, micro SD card slot delivers Humminbird® LakeMaster®, AutoChart™ and AutoChart™ Pro, as well as Navionics® Gold/HotMaps. Dimensions: 26.77 x 14.73 x 9.35 cm. Humminbird ICE HELIX 5 CHIRP GPS G2 features a brilliant 800H x 480V, 5" 16 BIT color display with backlight. CHIRP SONAR with 4000 watts PTP power output, GPS Chartplotting with Humminbird's new built-in Basemap and UniMap cartography with a micro SD card slot for optional maps or saving waypoints. Included: ICE HELIX 5 CHIRP GPS G2 Fishfinder, Dual Spectrum CHIRP transducer and cable, 9 Ah battery and charger, mounting bracket and hardware, portable ice bag. Heron is a lace up trainer with a sports-inspired, off-duty feel. This casual style is crafted from premium khaki suede with a tab to the back of the heel and a natural rubber cup sole. Heron also features sole spring poron performance cushioning, which is anti-bacterial and offers maximum comfort and shock absorption. Perfectly striking the smart/casual balance, this is the ideal weekend shoe. Chatham Spinnaker G2 Performance- Tried, tested, and confirmed by some of the most accomplished sailors in the world as a best in class technical sailing shoe. Barefoot designed Aqua-Go sole unit, with water drainage and breathable materials. Super light weight, with unrivaled grip. The midsole has strategically placed drainage holes to allow water to disperse from the interior of the shoe in under 10 seconds. The phylon compound offers maximum flexibility and cushioning. The outsole is made from a rubber latex for supreme traction in wet or dry conditions. 2-Years manufacturer G2 guarantee. Chatham Galley is updated classic deck shoe, available in premium leather or leather and suede combinations for a new twist. Features a non slip, non marking sole unit with siping for extra traction in the wet. The Chatham Galley shoes a stylish, athletic-inspired design. Crafted from premium navy denim with contrasting laces, heel counter and non-slip rubber sole, Galley II has a textile lining and also features new sole spring poron performance cushioning, which is anti-bacterial and offers maximum comfort and shock absorption. A great weekend deck shoe for life's go-getters. Ultralight, anatomical design water drainage. Coasteer G2 is a part of Chatham high tech Aqua-Go range of shoes weighting in at an ultra light 500 grams a pair. This whole collection features a custom unique water drainage system along with a fast drying upper making it perfect for all water based sports. 2-Years manufacturers G2 guarantee. The Bounce deck shoe is part of Chatham’s Sole Spring range which uses tri-density 3mm memory foam for maximum comfort. The lack of weight makes for less rubbing and movement as you walk. A nice touch is the padded leather under the tip of the tongue which stops your bare foot from snagging when pushing it into the shoe. Another is the striped lining that brightens up the shoe and brings a summer feel. A premium leather Slip-On deck shoe with a check textile lining. The padded internal sock makes this sporty-look deck shoe extremely comfortable to wear. 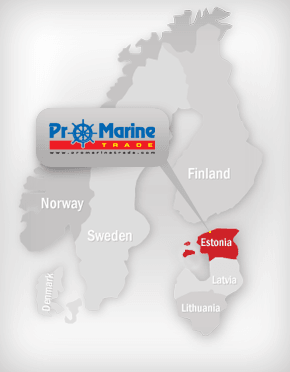 They have a lightweight three coloured high grip rubber sole ideal for use on the boat or street. Chatham Step is a low cut ladies trainer on our sole spring tri-density comfort technology sole unit. Premium nubuck leather with a stylish contrast lining and outsole. A low fronted 2 eyelet classic boat shoe made with premium soft leathers. Butted raw edge apron seams with a side lace and contrasting counter stitch detailing. Moccasin constructed with an EVA cupping under foot and a slip resistant rubber sole unit with siping. Chatham Stratton - Substance meets style. Featuring the most durable, traditionally English, Goodyear Welted construction. 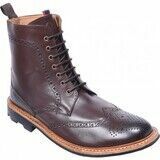 Stratton is a high ankle brogue boot on a commando rubber sole unit. Consider it a wardrobe investment that will pay dividends for years to come. Rig Waterproof Sailing Boot - Navy. High leg men's leather sailing boot with breathable cordura panels. Breathable bamboo lining and a genuine rubber sole. Regatta Fisherman Jacket: Adjustable hood with string in breem, Reinforced and tailored elbowes, Reinforced and tailored elbowes, Fleece in the neck, Double-buttoning in front. Weight: 1,3 kg. 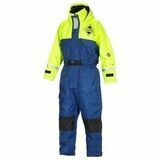 Regatta Fisherman trousers: Built-in buoyancy 53 N (L), According to EN 393, Flotation material in soft and light-weighted PVC, Ventilation on both sides, Functional pockets with zipper and flap, Adjustable suspenders, Reinforced and tailored knees, Reinforcement on lower part of legs, Weight: 1,7 kg. 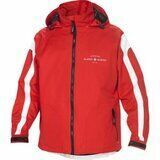 Fladen Navigator 901 sailing jacket is waterproof and breathable. Roll-away hood, two side pockets and one inside pocket, elastic drawstring, Velcro adjustable cuffs. Material: Polyester, 210T Dull Polyamide Taslan (5000 mm/5000 g/m2/24 h).